Aviator pilot costume for hire. 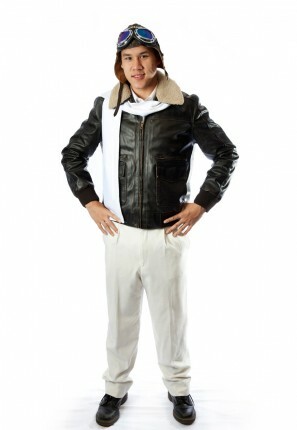 Consists of flying jacket, aviator hat, flying goggles, trousers, flying scarf and shirt. Perfect for a 1920’s costume themed party.